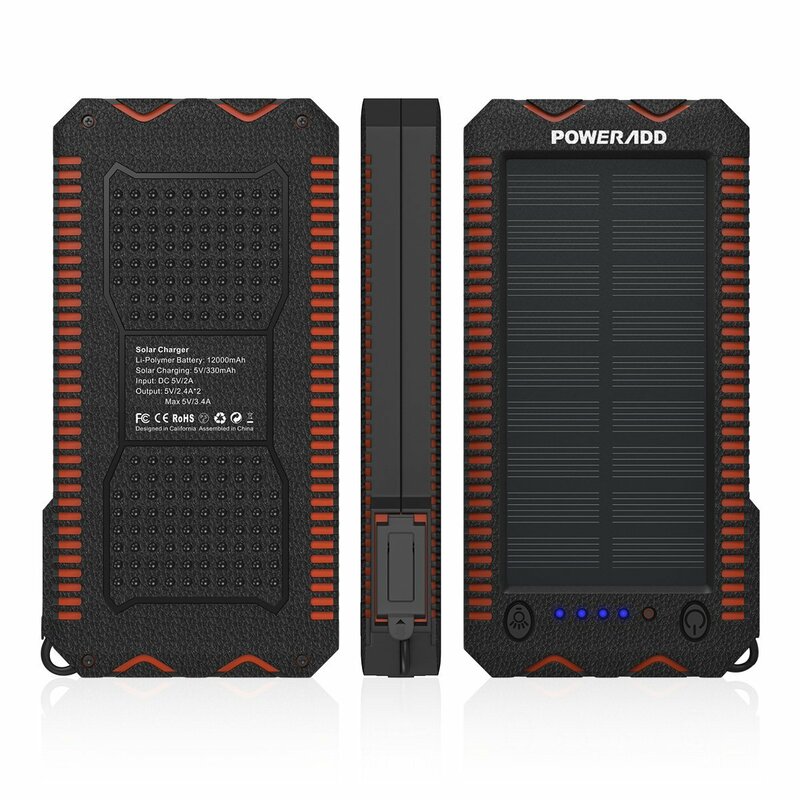 Poweradd 12000mAh Solar Power Bank is a smart choice for camping, hiking, backpacking and other outdoor activities. 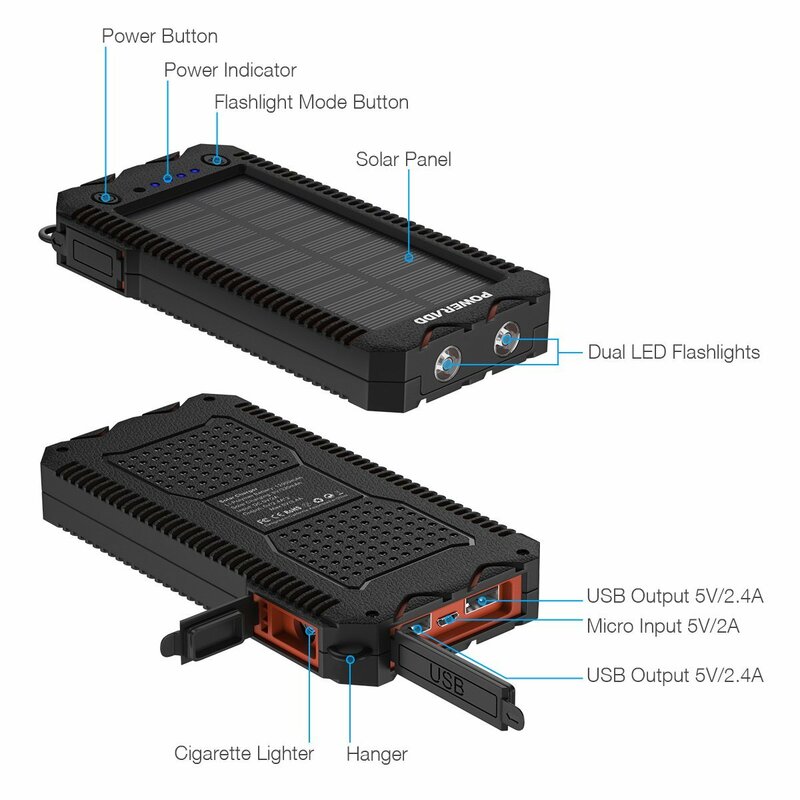 Dual USB 3.4A Output for iPhone, iPad, iPod, Samsung Galaxy Smartphones and Tablets. 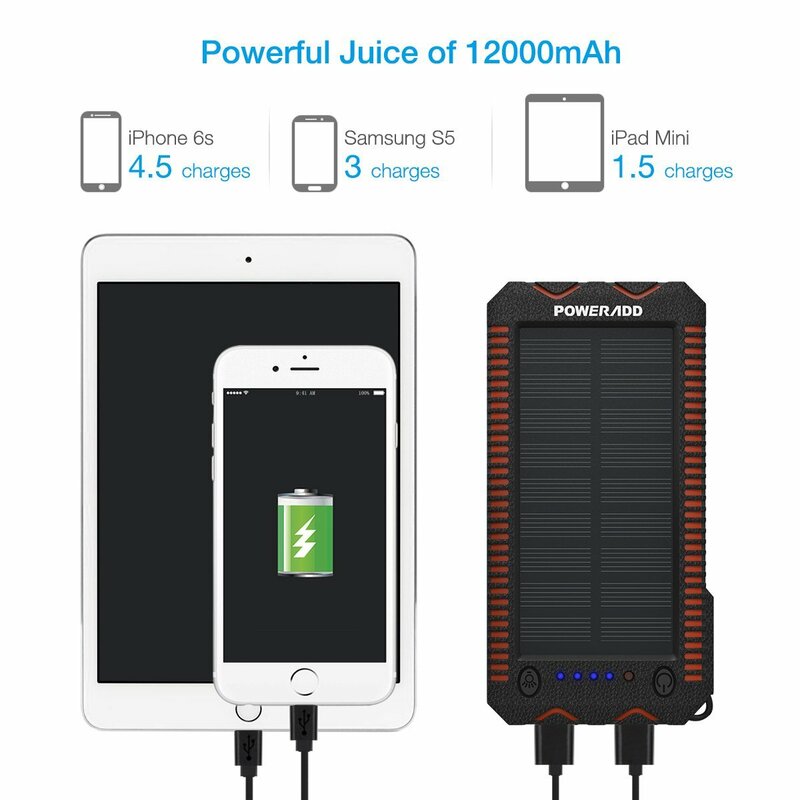 Huge Capacity 12000mAh Solar Charger: it charges an iPhone 7 three times, Samsung S8 two times, a large capacity iPad Air 2 almost one time. 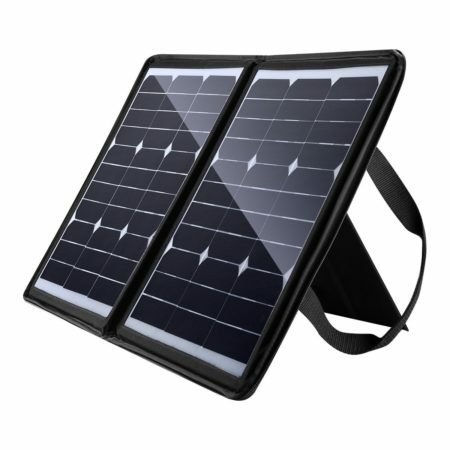 Solar Powered Device Charger: With a bigger solar panel, it can recharge itself under direct sunshine for emergency. 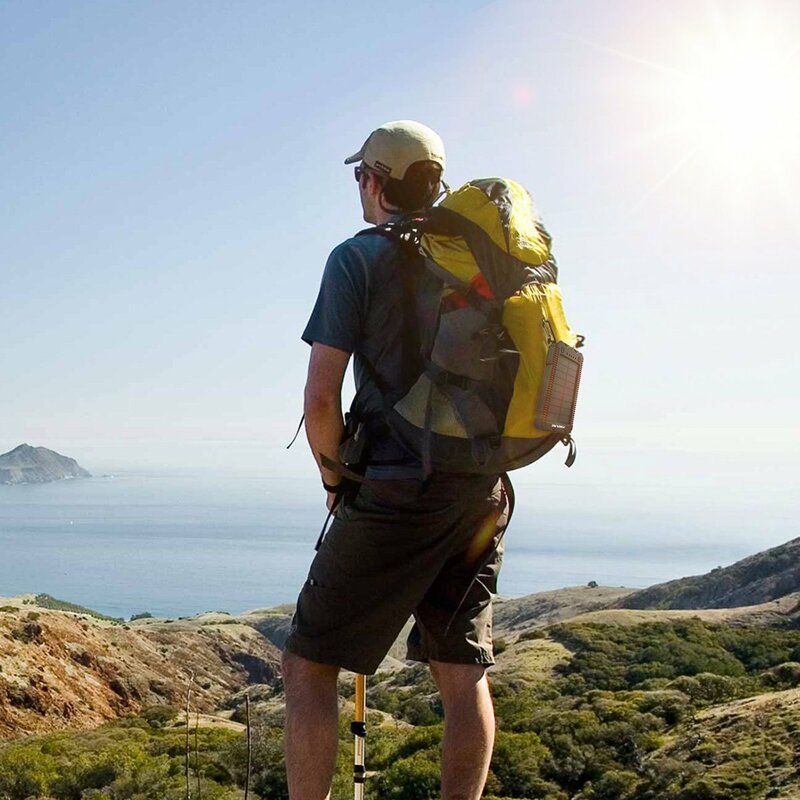 It’s a smart choice for camping, hiking, backpacking and other outdoor activities. 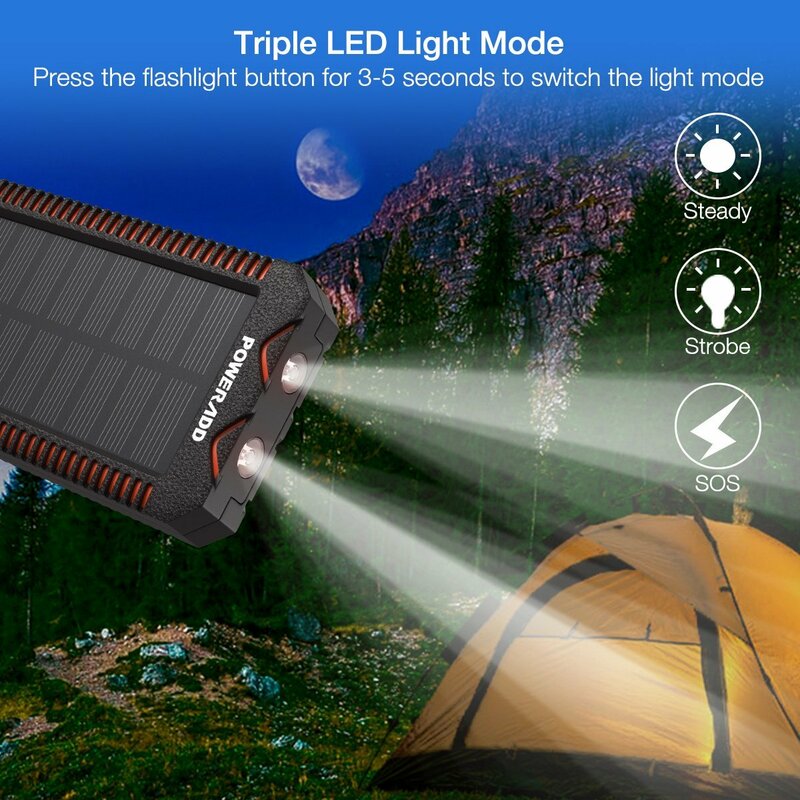 Solar Power Bank With LED Light: The bright LED lights are easy to control and adjust. Long press power button to turn them on, then short press power button, the lights will work as an SOS distress light in case of need. 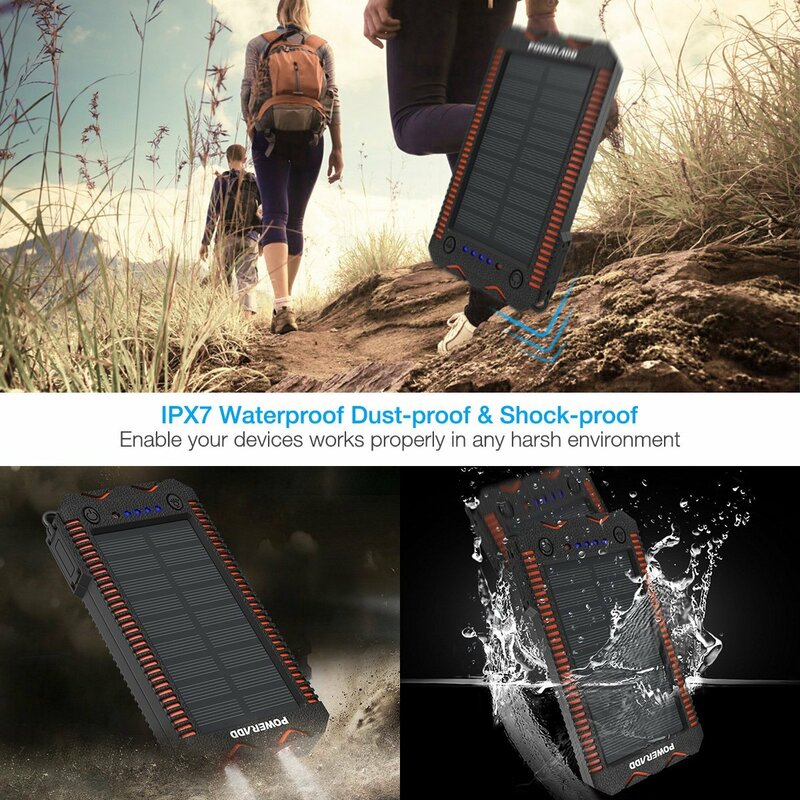 Safety Protection: The built-in Li-polymer battery and multi-protection system protect the power bank from over current and short circuit. It’ll automatically turn itself off when short circuit or overloading occurs. Tips: The current output from a computer USB port is around 0.5A, if you need to shorten the charging time, we recommend using a 5V/2A adapter instead. 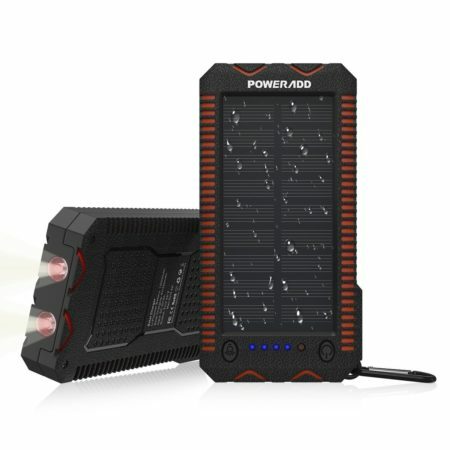 The sun will charge this charger to 100% technically, but due to the limited size of the solar panels, it can’t get a 0-100% charge within one day. 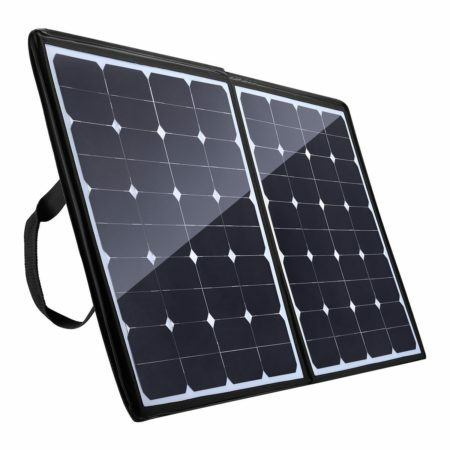 The energy transformation from solar to electricity is rather slow, thus we recommend you to charge Apollo 2 with an AC adapter for daily use. 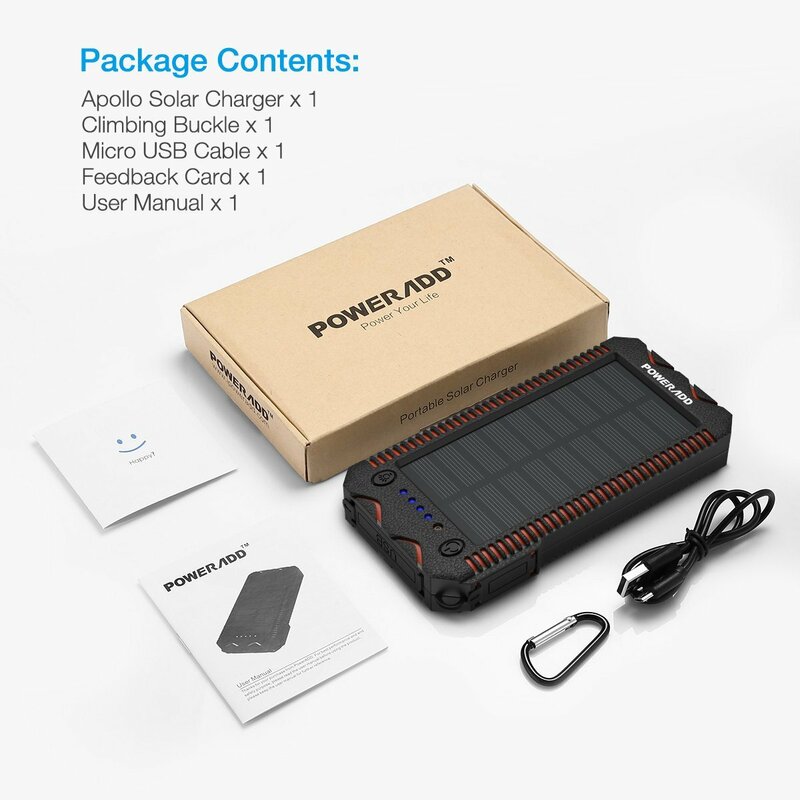 Then, short press the power button, it will enter the SOS mode. Short press it again to turn off the lights. 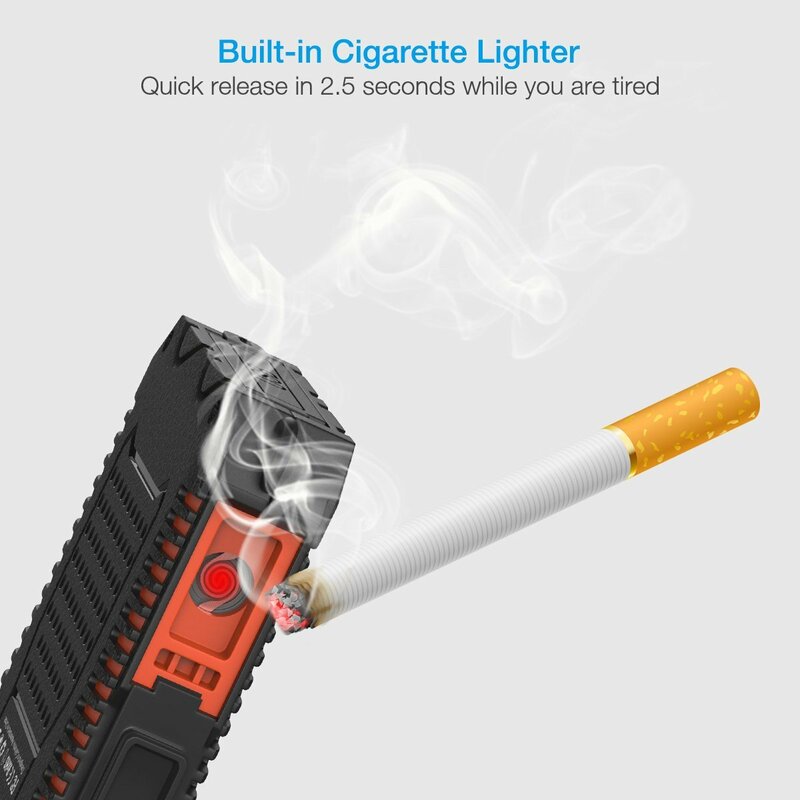 This portable solar power bank has a unique integrated cigarette lighter that’s pretty helpful for smokers to light up a cigarette effortlessly. Press the power button once and then long press it to heat the cigarette lighter, when it becomes red, that means it’s hot enough to light a cigarette.